I just love the WW2 jeep, don’t you? World War Two saw the introduction of the “jeep”. These vehicles were built by three different manufacturers for the military. The very first was Bantam. Ford and Willys submitted prototypes during the testing phase. The jeep. Is there a finer machine created by man during the twentieth century? I know I can’t think of anything. This is a machine that so many people had a hand in designing and creating. Of course top honors should go to American Bantam Car Company where the first vehicle recognizable as a jeep was created. Honors go to Willys Overland for building the most powerful engine used in the wartime jeep. And, of course, Ford Motor Company for designing the iconic grille that later with a small alteration would become famous and instantly recognizable as the jeep. Finally, those engineers, both military and civilian that had a direct hand in molding the specifications that led to the first successful 1/4-ton, Truck 4×4 — a Bantam jeep, a machine forged for war that has excelled in peace for more than 70 years! For more about the jeep, why not read one of the very first books written on the subject? 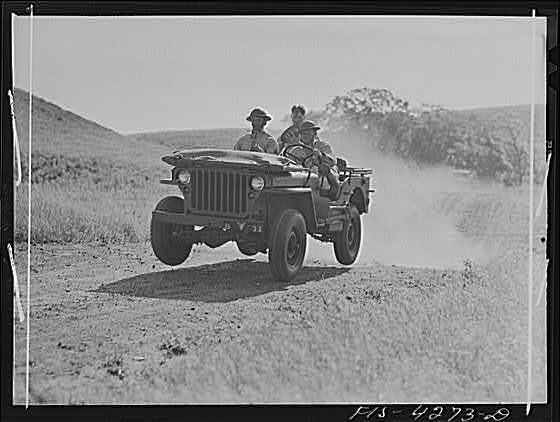 Jeep – Its development and procurement under the Quartermaster Corps, 1940-1942 . It’s a great read for those that love WW2 jeeps and want to know its’ early history.